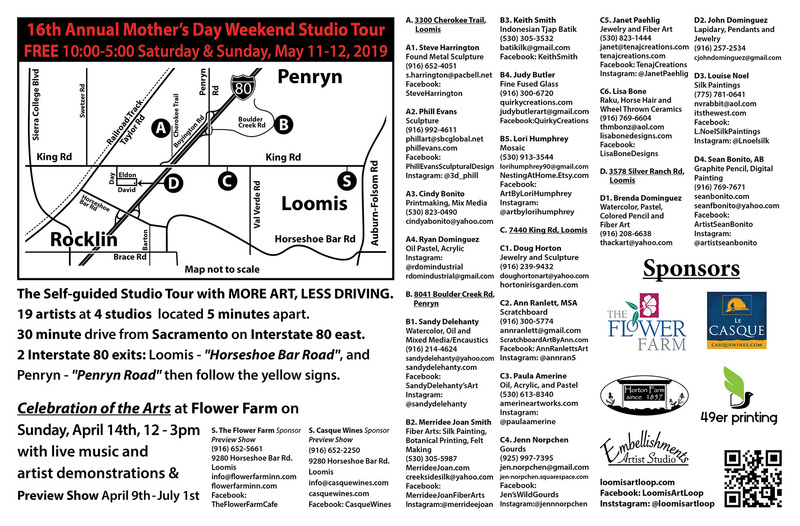 Spring in the Loomis Basin – A Showcase for Art! The 2016 Loomis Loop is (as always) on Mother’s Day Weekend. This year the dates are May 7th & 8th. 10 am – 5 pm each day.